The Monday, November 30, 2015 Climate Justice Forum radio program hosted by Wild Idaho Rising Tide (WIRT) covers Powder River Basin coal mines and a proposed railroad, planned Pacific Northwest oil terminals, and worldwide marches, activist petitions, and Paris demonstrations around the United Nations climate change talks starting there today. Broadcast on progressive, volunteer, community station KRFP Radio Free Moscow every Monday between 7:30 and 9:00 pm PST, live at 90.3 FM and online, the show covers continent-wide climate activism and community opposition to dirty energy projects, thanks to the generous, anonymous listener who adopted program host Helen Yost as her KRFP DJ. The Monday, November 23, 2015 Climate Justice Forum radio program, hosted by Wild Idaho Rising Tide (WIRT), features news about coal, oil, gas, tar sands, and climate change developments and resistance in Idaho and the Northwest, Rising Tide and allied Flood the System direct actions, and the upcoming United Nations COP21 climate talks and cancelled protests. Broadcast on progressive, volunteer, community station KRFP Radio Free Moscow every Monday between 7:30 and 9:00 pm PST, live at 90.3 FM and online, the show covers continent-wide, climate and indigenous activism and frontline, grassroots confrontations of corporate extreme energy projects, thanks to the generous, anonymous listener who adopted program host Helen Yost as her KRFP DJ. The Monday, November 16, 2015 Climate Justice Forum radio program hosted by Wild Idaho Rising Tide (WIRT) gratefully welcomes Nez Perce activist Gary Dorr, a U.S. veteran and Idaho megaload protester who has been assisting frontline tribal and grassroots resistance to the Keystone XL tar sands pipeline in South Dakota and Nebraska. Besides sharing resistance updates, Gary will talk about the reaction of indigenous and landowner activists to Keystone XL presidential rejection. Broadcast on progressive, volunteer, community station KRFP Radio Free Moscow every Monday between 7:30 and 9:30 pm PDT, live at 90.3 FM and online, the show covers continent-wide climate activism and community opposition to dirty energy projects, thanks to the generous, anonymous listener who adopted program host Helen Yost as her KRFP DJ. Stop New Little Willow Gas Well Drilling! The 15-day public comment period closes on Friday, November 13, for providing your written opposition to yet another permit application for oil and gas well drilling, presumably on Simplot lands (in the Butch Otter family) up Little Willow Road in Payette County, Idaho . 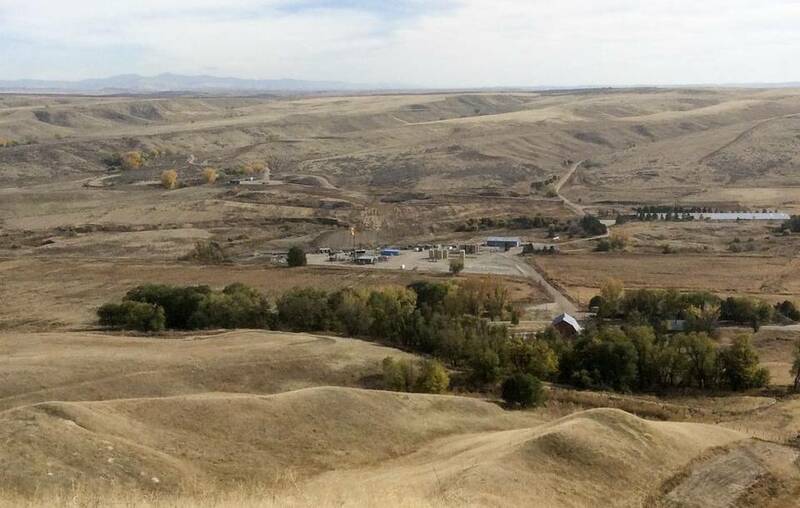 Houston-based Alta Mesa has proposed a new well, ML Investments 2-3, about seven miles east of Payette, and has requested that application reviewers and permit issuers at the Idaho Department of Lands (IDL) protect its 41 pages of application documents from public disclosure. A company official contends that much, if not all, of the drilling application information is either confidential for security reasons (as stamped on multiple pages) or meets Freedom of Information Act and Idaho law exemptions prohibiting the disclosure of trade secrets. Nonetheless, IDL posted the application with redactions on its website on Wednesday, October 28. Alta Mesa last filed a drilling permit application in November/December 2014, when the Idaho Conservation League and Wild Idaho Rising Tide (WIRT) separately contested the proposed Smoke Ranch 1-20 well, located only a few hundred feet from the Payette River, and caused application revision and re-submission [2, 3]. According to the IDL website, the company never drilled that well, but has brought five other wells into production during 2015, besides the State 1-17 well that Bridge Resources drilled with ten others in 2009-10, sold to Alta Mesa in 2012, and started up in March 2014 . Alta Mesa is also now extracting gas from the Bridge Resources-drilled ML Investments 1-10 well, claiming that it and the State 1-17 well are wildcat wells drawing from an unproven reservoir. Nine of the Bridge Resources wells have been shut in pending a pipeline; Bridge intended to frack four of these holes (the Espino 1-2, Korn 1-22, Tracy Trust 3-2, and White 1-10 wells from among the DJS Properties 1-14 and 1-15 and Island Capitol 1-19 wells). The Monday, November 9, 2015 Climate Justice Forum radio program, hosted by Wild Idaho Rising Tide (WIRT), features updates on the Obama administration rejection of the Keystone XL pipeline, possible enactment of the Trans-Pacific Partnership, tar sands threats to the Northwest, and recent and upcoming Rising Tide and allied Flood the System direct action trainings and demonstrations. Broadcast on progressive, volunteer, community station KRFP Radio Free Moscow every Monday between 7:30 and 9:00 pm PST, live at 90.3 FM and online, the show covers continent-wide, climate and indigenous activism and frontline, grassroots confrontations of corporate extreme energy projects, thanks to the generous, anonymous listener who adopted program host Helen Yost as her KRFP DJ. The Wild Idaho Rising Tide (WIRT) First Thursday Moscow Monthly Meeting and Potluck is happening at 7 pm on Thursday evening, November 5, and due to the work- and travel-induced lateness of this reminder, again on November 12. Gather at The Attic, up the back stairs of 314 East Second Street in Moscow. Along with southwest Idaho activists on November 15 and Sandpoint area residents on November 19, we are planning November Flood the System actions on both sides of the state. 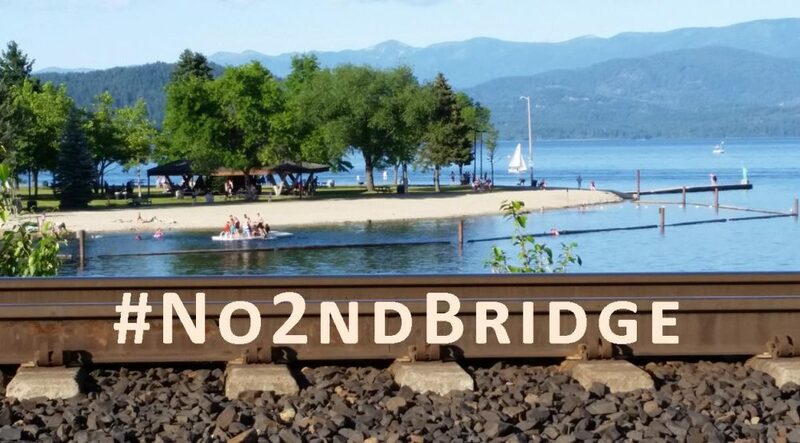 WIRT is holding our other monthly convergence, the WIRT Third Thursday Sandpoint Monthly Meeting and Pizza at 7 pm on Friday, November 20, at Second Avenue Pizza, 215 South Second Avenue in Sandpoint. Please email wild.idaho.rising.tide@gmail.com or call 208-301-8039 for meeting agendas, carpools, and directions, and visit the WIRT Events Calendar for ongoing updates on WIRT and allied events across the region. The Monday, November 2, 2015 Climate Justice Forum radio program, hosted by Wild Idaho Rising Tide (WIRT), features updates on Payette County gas development and resistance, Idaho Panhandle coal, oil, and tar sands trains and opposition, fossil fuel terminal hearings and comments, and Rising Tide and allied Flood the System direct action trainings and demonstrations. Broadcast on progressive, volunteer, community station KRFP Radio Free Moscow every Monday between 7:30 and 9:00 pm PST, live at 90.3 FM and online, the show covers continent-wide, climate and indigenous activism and frontline, grassroots confrontations of corporate extreme energy projects, thanks to the generous, anonymous listener who adopted program host Helen Yost as her KRFP DJ.